For years, Fade has stood as The Imperium’s Southern tripwire region with its space walls and forts manned by howling monkeys. That was before the dark times; before Aegis sov. This week, those walls came crashing down and the gates opened to Deklein. After a month of heavy assault on what was once the Hadrian’s Wall of The Imperium, the final timer in the Fade region has fallen to the Money Badger Coalition (MBC). 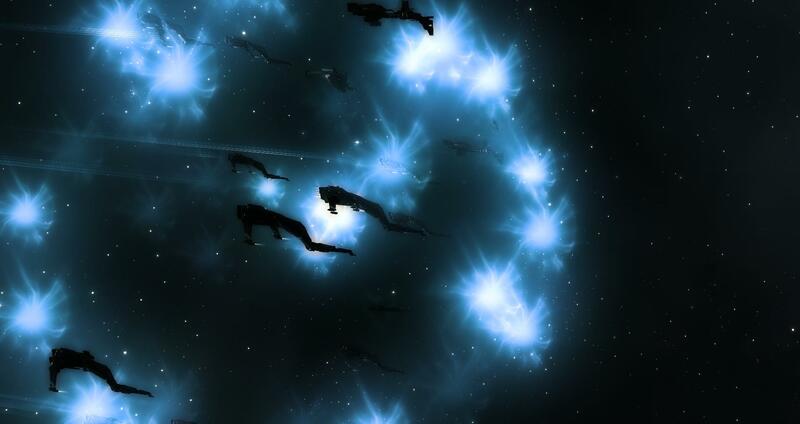 MBC fleets, mainly comprised of Pandemic Horde (PanFam), with Pandemic Legion (PLIRC) capitals backing them up, managed to grind Imperium controlled Fade and SMA into dust. They cleared a staggering 120+ timers and destroyed untold fortunes in a little over a week – no small feat by any measure. The Imperium outlined a detailed defensive strategy in The Mittani’s April 5th CEO Update. It called for a shift in vulnerability windows to the hour with the lowest number of players online, 07:00 EVE standard time. The Imperium’s fleets would withdraw to Saranen and use Swordfleet interceptors and Siegefleet bombers to harass and frustrate the MBC, deteriorating their main doctrine fleets, logistics capability and will simultaneously using a Fabian Strategy. SpaceMonkey’s Alliance (SMA) was the primary sov holder in the Fade region. However, their ability to defend the region was doubtful from the outset. While the alliance started off strong, SMA were unable to defend the space themselves and with the operations to restage in Saranen well underway, and a focus by GSF on prosecuting vendetta against Circle of Two (CO2), help was not coming. The best that those in Fade could hope for were delay actions and safeguards from The Imperium. Those delays, much like SMA line members, were shoved into the open mass grave of Fade when the critical jump bridges from the south that allowed fleets to rapidly deploy northward were snapped. FCs found themselves cut off from easy access to the northern regions and interdicted by MBC fleets and even PL supercap fleets. The takeaway from this is that the strategy of weaponized boredom and the misapplication of Fabian Strategy led to a situation where The Imperium and allies alike got burned out on endless siege and ‘ceptor fleets. The size of your alliance doesn’t matter if they aren’t showing up for the small ship fleets. Fabian Strategy only works if your enemies will gets broken and your allies will remains intact. The Mittani and Sion Kumitomo in particular seemed more focused on the gaming media metagame than the actual war in the past weeks. They appear to have spent a lot of energy bickering publically and privately with CCP employees over the World War Bee name and related in-game character backgrounds. They’ve taken it upon themselves to accuse CCP Games of bias toward the /r/eve community, and EVE gambling sites – going so far as to throw about wild accusations of criminal activity via “unsolicited” proxies in gaming media. The accusations of criminal misconduct have since been soundly debunked by Noizy after he did some very basic research into the matter and found out that IWantIsk has nothing to do with Florida but is in fact incorporated in the state of Arizona. Never go full Gevlon. Never. It has to be mentioned that Fade was lost in part due to an overemphasis on the media metagame and hubris on the part of The Imperium leadership. It’s one things to tell yourself as a leader that the sov holders don’t really matter and that you evacuated all of your stuff months ago. It’s quite another to make sure your own assets are evacuated and fail to inform your own alliance, or partner alliances that they should evacuate until the war is on their doorstep because of an oversight and failure to prioritize. “Fizzlesov”, as it is known to The Imperium, is like a game of whack-a-mole designed for man-children with short attention spans. The false expectation is that Fizzlesov is like Dominion, which is how the MBC appears to be playing things. It is outdated thinking. Gone are the days of a pseudo-Risk that was a hallmark of Dominon, where conquest was absolute and virtually permanent. Presently, a station can change status rapidly. It may be secure one day, only to be freeported in 48 hours, then flipped again in another 48, while any Ihubs and TCUs trade hands every 48 hours. This means the defender puts much more on the line as a sov-holding entity in the vomit-inducing nightmare that is Aegis sov. Those who recently took sov in Vale of the Silent are finding this out now as The Bastion (BASTN) counterattacks. The fact is, most major powers in their right mind would avoid staging in conquerable nullsec stations under the new mechanics, and sov is of nearly negligible importance. Smug levels in the MBC have reached ‘His Regards’ levels. The Afghan tribal warlords of the MBC are now in control of Fade, but said control is not cemented. The alliances who gained sov must figure out how to divide and defend it from a relentless enemy that is hell-bent on revenge. They also have to look over their shoulders at allies, who are at best, in an already strained pact where the only mutual interest is the destruction of The Imperium. Given that Northern Coalition and Pandemic Legion are doing nearly all the true heavy lifting in World War Bee, is this was really sustainable for the MBC as a whole? The MBC’s actions when viewed in this context of Fizzlesov are little more than ‘haha made you form’ combined with a touch of revenge from the same tired figures in NC., PL, and TEST. The Imperium has fought these entities repeatedly for years. This may be amusing in the short term, but it isn’t sustainable anymore than Fabian Strategy is. The big question is, will The Imperium be able to recover this time as it has before? Or given the changes to the sov system, does it need to retake sov in the outdated sense of the word? I believe The Imperium already has recovered and will retake sov at a time and place of The Mittani’s choosing. The Imperium has a strong core of capsuleers who are actually united. It has faced these sorts of defeats in the past, but it is renowned for coming back even deadlier than before. 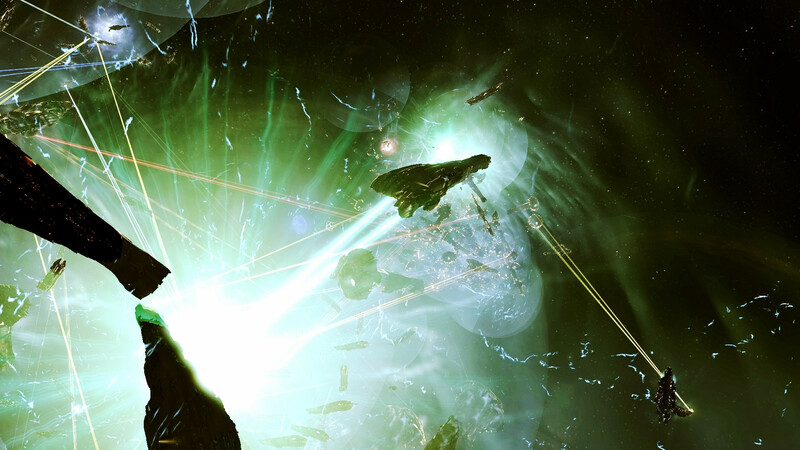 They still retain impressive funding, a vast number of sub-capital assets, a robust capital and supercap fleet left practically untouched by the war thus far, and thousands of capsuleers willing to play the long game that a true hellwar requires. The sov war is little more than meaningless angst on the part of the MBC. Propaganda is created as a tool to influence the masses and drive them into doing or believing things that don’t really benefit them at all. The sheer volume of propaganda distributed via Reddit in the support of the MBC should tell you all you need to know about this war. The current conflict in the northeast doesn’t mean a lot but the MBC wants The Imperium rank and file to think it does. As of 23:51 EVE time on April 12th, the Goonhammer has been forged and the promised hellwar is upon the enemies of The Imperium. The Goonhammer is very likely to show the space warlords of MBC the frivolity of World War Bee. By breaking up the band that was The Imperium as a coalition, the MBC has only aided the forging of the Goonhammer super-alliance. Everyone take a shot now because The Imperium is not only planning on twisting the knife, but breaking it off against the bones of their enemies. It’s spring and fighting season has arrived for The Imperium. Old allies such as SMA and FCON may be folding, but the core of The Imperium holds. Viktor is currently a member of Goonwaffe, and has actively not existed in the Reavers SIG since its founding in 2014. His EVE hobbies include aborting baby titans, making renters miserable, mass murder in space. You know, just Reaver things.